Srinagar Sep 15 (IANS) The elections to urban local bodies will be held in Jammu and Kashmir in four phases beginning on October 8 said a senior State Election Commission officer. 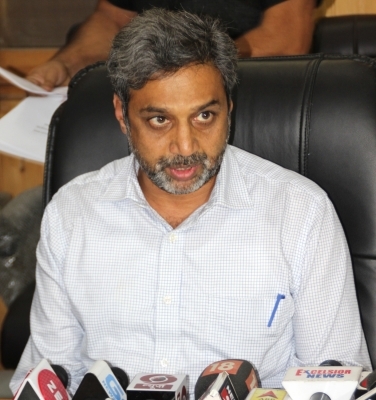 Chief Electoral Officer (CEO) of the state Shaleen Kabra told a media conference in Srinagar on Saturday that the municipal polls will be conducted in four phases in the state on October 8 10 13 and 16. "These polls will start on October 8. Notification for phase 1 will be issued on September 18. The notifications for phase 2 3 and 4 will be issued on September 20 22 and 24 respectively. "17 lakh voters are registered for the polls " Kabra said. With this announcement all speculations about the deferment of these polls have been laid to rest. Two major regional mainstream parties the National Conference and the Peoples Democratic Party (PDP) have announced that they will stay away from these polls. On the other hand the Congress Party has said the situation is not conducive for holding these polls around this time.